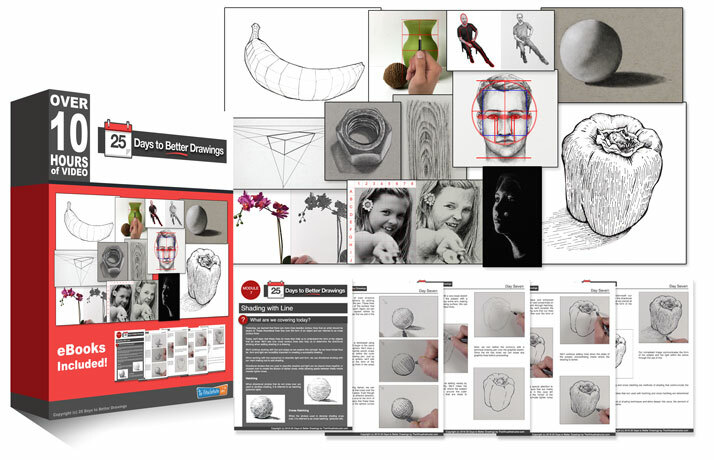 Description: Learn the two key components that lead to the illusion of texture in a drawing. Apply concepts to draw the texture of wood. Suggested Materials: Graphite drawing pencils: H, HB, 2B, white drawing paper, and a blending stump. Thanks for the lesson. I was surprised at how easy the drawing became by focusing on the values present. It is quite cool! Never thought of drawing a wood texture possible. I am excited with my first try and would love to practice more. Thank you Matt! This course is filling in some big holes in my skills and really boosting my confidence. Wow! I am really enjoying your teaching methods and your knowledge. This is my first course and several times I think….wow! That looks hard. Don’t know if I can do this. But as you assure your students and demonstrate the techniques, low and behold….I can do it!thanks so much. Learning so much already. To my surprise, I really enjoyed it.